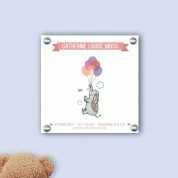 Our adorable perspex print will make a wonderful addition to any newborn baby girl's nursery. Our design is tailored to every child before being printed directly onto polished 5mm white perspex using state of the art UV printing technology. 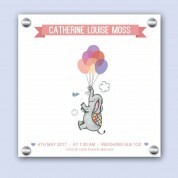 It features a colourful hand drawn illustration of a baby elephant, floating above the fluffy clouds holding multi coloured balloons in his trunk. The illustration is raised on the perspex, giving it a 3D feel. 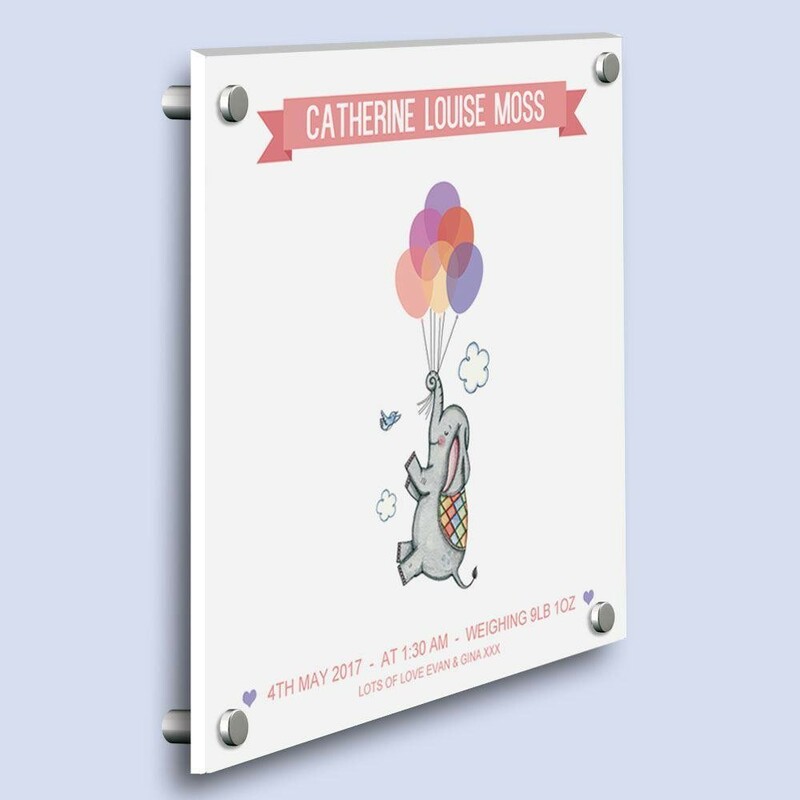 The classy white perspex along with the quirky design makes it a show stopping gift that parents will love to see on their baby's nursery wall. 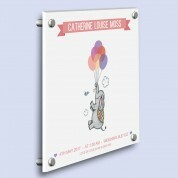 Each print is customised with the child's full name on a bright pink banner. It also includes the special date, birth time, weight and short personal message, making it truly unique. Keepsakes with a special touch by Forever Bespoke.